What is a Site Assessment Study? 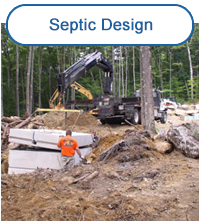 Defined by the State of New Hampshire, a Site Assessment Study (SAS) is a report prepared by a DES-permitted septic system designer that the seller hires to determine if the site meets the current standards for septic disposal systems established by DES. 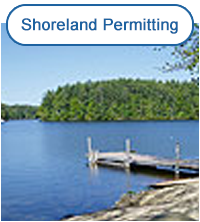 Prior to executing a purchase and sale agreement for any "developed waterfront property" using a septic disposal system, an owner shall, at his expense, engage a permitted subsurface sewer or waste disposal system designer to perform an on-site assessment study. The assessment originally had been required prior to listing or offering the waterfront property for sale, but effective January 1, 1993, it is required prior to executing a purchase and sale agreement. On-Site Inspection - A site inspection is conducted, but does not require the assessor (permitted designer) dig up the waste disposal system. Based on state regulations, the designer must assess the site for its current use. 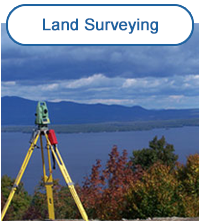 A survey crew locates all important landmarks, such as wells, septic systems, shoreline and structures. Plot Plan - A plot plan is created using the field data. 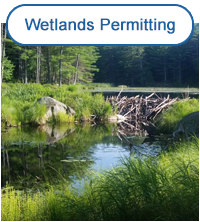 Report - A report is prepared with the designer's conclusion of how the site conforms (or does not conform) to the current requirements of the State of New Hampshire regulations. The number of bedrooms the property can support and what will take place when the existing system fails will be discussed in the report. Upon receipt of deposit and all required information, the process begins. Four copies of the SAS will be sent to the client within two weeks.